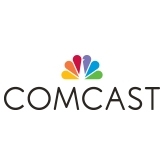 At Comcast, there are endless opportunities for our employees to explore in the fast-paced world of media and technology. We know that the only way to stay ahead is a continuous investment in the latest technologies, platforms, and of course, our people. Our goal isn't simply to give customers what they expect, it's to give them what they never thought was possible. Our breadth of communication services allows us to deliver unexpected innovations and our reach creates real impact in the ways we keep our customers connected. Not only are we creating a new 60-story Comcast Innovation and Technology Center in the heart of Philadelphia, but we have the latest tools, platforms and resources to keep our company’s growing workforce of technologists, engineers and software architects engaged and moving forward.